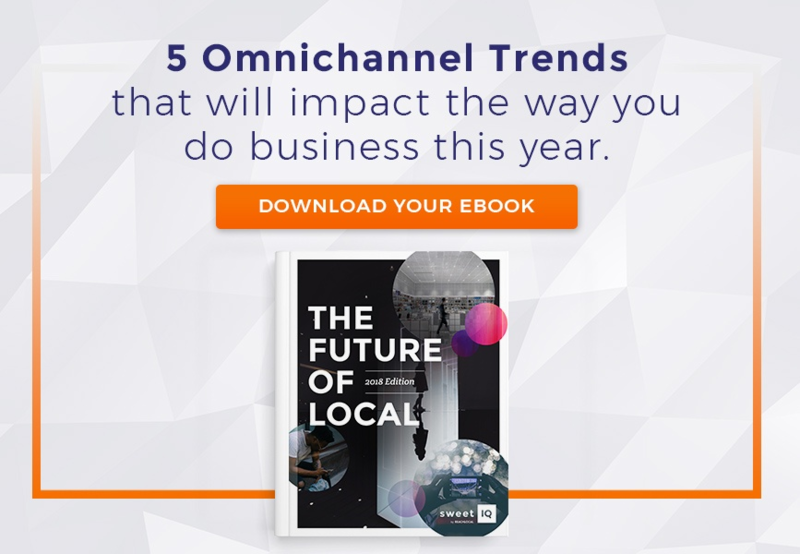 If your business is nailing the local SEO game, you’re primed to capitalize on ready-to-buy customers. 81% of consumers conduct a search before deciding on a sale, and you need to make sure your digital storefront says “we’re open for business!” loud and clear. Did you know that a business’ proximity to a searcher is the number one local search ranking factor? And, did you know that ranking for local search requires a different type of plan than regular ol’ SEO? Local SEO strategy implicates your presence on search engines, your website, your social channels, and yes, even your customers. At first glance, clicking “claim this business” on the Google Maps app seems effortless and easy. Voilà, done! But it’s not quite as simple as it appears — especially for multi-location businesses. If you’re franchise, there’s a high chance that some of your locations have created their own page, and there’s also a chance rogue pages have popped up from your customers across the web, and perhaps some are leftover from the old Google+ days. In order to rank for local search, you need to have your Google My Business pages squeaky clean. Online reviews have always been important from a brand reputation standpoint. However, consumer review volume goes beyond star ratings and engagement since local reviews have a direct impact on your local search ranking. This doesn’t mean that you need to have five stars (though that doesn’t hurt! ), review signals come in many shapes and forms: total volume of reviews and quality of those reviews impacts your ranking. While companies can’t pay for positive online reviews, if you implement a review management strategy, you can increase your review volume in a legitimate way. Be sure that l your strategy includes review responding– e.g. a dedicated tool or person put in place to respond to every reviewer. Different review sites matter for different search engines, so focus your efforts on the platforms that are more commonly used by your demographic. When in doubt – Google reviews are a great place to start no matter what type of business you are. After all, Google handles 40,000 queries per second! For more information on building a review strategy, click here. Indeed, the days of keyword stuffing are long gone — but a solid keyword strategy is still key to local SEO success. It’s also important to factor in the emergence of voice search and virtual assistants, meaning you should consider a conversational tone and natural speech (long-tail keywords) in your keyword strategy. Your social media pages are used for ranking signals, and an active social presence on key channels such as Facebook, Twitter and Instagram can help boost your ranking. However, this goes beyond the typical post-and-pray method: what’s most important to this piece of the puzzle is having an audience that is highly engaged; in other words, your following is actively interacting with the content you produce. From the local perspective, you can run several social media campaigns to generate consumer engagement. Try running a campaign on Facebook, where customers who “check in” to your store and upload a photo to your page to receive a discount. If your business caters to the Instagram demographic, run a photo sharing contest for customers who geotag your location and use your branded hashtag. Added bonus? By running these contests, you now have a host of user-generated content to use on all of your social channels for the coming months.